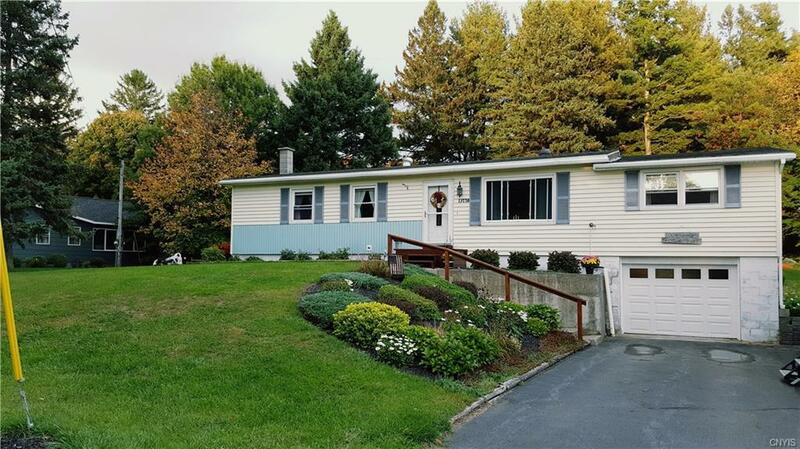 Pride of ownership boasts throughout this Stick Built 3 bedroom, beautifully landscaped ranch home just outside the Village of Adams Center. Many updates including a new kitchen w/cherry cabinets, quartz counters, and stainless appliances, bathroom updates and backup generator. Beautiful flooring throughout a large living room, dining room, and family room w/french doors leading to a two-level deck and a 3 season room finished with tongue/groove pine. Beautiful treed lot with storage shed and a full basement w/much potential to finish into more living space. Basement walks out into the attached garage with a new insulated garage door. Public water, Natural Gas, but no Village taxes. No work needed...A must see to appreciate all this home has to offer. Call for your personal viewing. Directions To Property: Nys Rt. 177 To North Street Or Nys Rt. 11 To North Street (North St Winds Around From Rt. 11 To Rt.